Kabir, the seer raised in a community of weavers, is said to have had enormous influence on Indian philosophy and on Hindi poetry. He is thought to have lived longer than 100 years and perhaps was born in 1998. One of the greatest personalities of the Bhakti movement in North India, Kabir’s philosophy represents a synthesis of Hindu and Muslim concepts. From Hinduism he accepts the concept of reincarnation and the law of Karma. And from Islam he adapts the affirmation of the single God and the rejection of caste system and idolatry. His compositions also figure in Sikh Scripture, the Guru Granth Sahib. In fact, he has impressed every sect and every religion with his teachings and yet the basic religious principles he propounds are extremely simple. According to Kabir, the entire human life is an interplay of two spiritual principles. One is the personal soul (Jivatma) and the other is God (Paramatma). He opines that salvation is the process of bringing into union these two divine principles. Attain oneness with God as guided by this great ancient sage. Get absorbed in his very accessible and easy to adapt philosophy written in dohas as rendered by the mesmerizing Ghazal maestro Jagjit Singh. Get enlightened by Kabir. 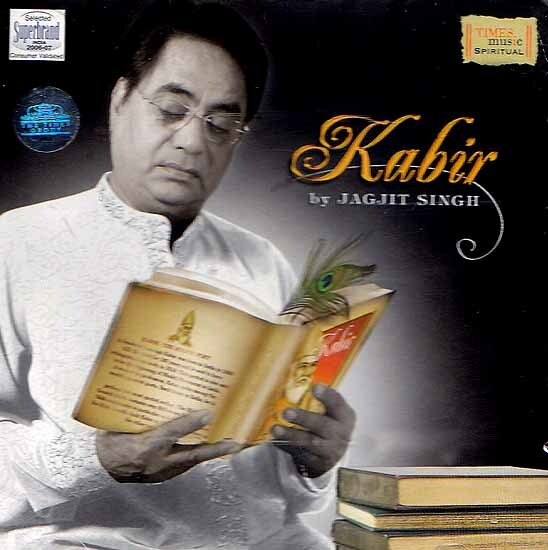 Jagjit Singh, the celebrated Ghazal maestro, renders Kabir with great dedication and fervour. He beautifully creates his compositions by blending the traditional with the modern, backed by a sound classical base and an expertise in western orchestration. He has released more than 50 ghazal and bhajan albums and is passionately involved in the making of each of his albums - right from selecting the lyrics to composing the music including orchestration, recording and sound mixing. He propounds the philosophy of Kabir by singing Kabir dohas in his mystical and silken voice merged with his stirring and crystal clear renditions. ‘Paani Mein Meen Pyasi’ is a soul soothing bhajan rendered flawlessly by him that transports the listeners to a different world altogether, a world away from the material bonds. ‘Rehna Nahi Des Birana’, sung in his serene voice is a bhajan soaked in the shades of pristine devotion. In ‘Hari Bin Kaun Sahay’, he worships the supreme lord and holds him solely capable of melting obstacles and steering humans to capable of melting obstacles and steering humans to salvation. Jagjit Singh sings these bhajans and more, that abundantly give voice to Kabir’s philosophy thus drenching all in the showers of his wise teachings. Weave a meditative and spiritual ambience into your space and find simple solutions to complex situations in the life with this album Absorb the priceless teachings of Kabir rendered in the divine voice of Jagjit Singh!